Broken Dryer? 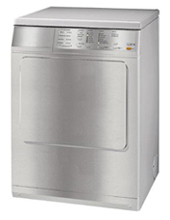 Are you experiencing any these common clothes dryer problems? Your dryer problems could be the result of a number of causes including a bad fuse, faulty temperature switch, bad thermostat, faulty heating coils, broken or malfunctioning timer, broken belt, problem with the motor or idle pulleys, malfunctioning roller, or a clogged vent. Contact AMPM Appliance Repair at 800-343-6011. We’ll send one of our friendly, professional dryer repair technicians to quickly diagnose and fix the problem. Our appliance repair techs carry a vast inventory of parts for all makes and models of dryers to ensure that we can handle just about any type of residential or commercial dryer repair on the spot.